It’s been 4,329 days since Qantas first inked its deal for the Boeing 787, but on this grey morning a Dreamliner dressed in the airline’s iconic ‘flying kangaroo’ livery soared into Sydney as the first member of what Qantas intends to be a steadily-growing fleet. That initial order was announced in December 2005, almost 12 years ago, at a time when the Boeing 787 was a ‘paper airplane’ existing in only drawings. Boeing had yet to build the advanced jet, let alone fly it. That first test flight happened in December 2009, after a series of delays and setbacks not unusual for the introduction of any new aircraft – let alone one as radical as the Dreamliner, with its carbon-fibre composite construction – and it wasn’t until September 2011 that global launch customer ANA collected the keys for the world’s first airline-ready Boeing 787-8. Two years later, in October 2013, the Qantas Group took delivery of its first Boeing 787-8, but in the stripe of low-cost airline Jetstar rather than the parent brand. So why is it only now – with 11 Boeing 787-8s in the Jetstar fleet and the more modern 787-9 model being flown across Australia by some ten international airlines – that Qantas is taking ownership of what happens to be the 615th Boeing 787 to be delivered? 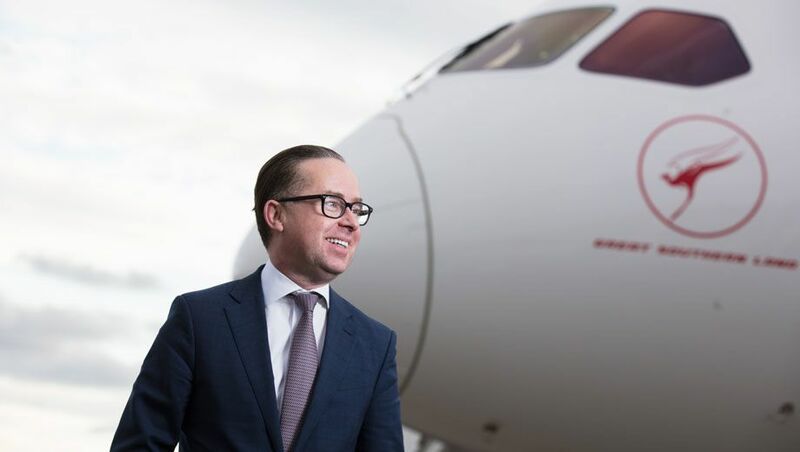 Speaking with Australian Business Traveller on board the Qantas Boeing 787-9, Qantas Group CEO Alan Joyce says Boeing’s original delay was compounded by the global financial crisis. “Qantas was very prudent on managing its balance sheet and making sure we could get through that” he reflects. “We also had commitments with other aircraft that had to lead (the Boeing 787) such as the Airbus A380, which we took delivery of in 2008, and they were pretty expensive – we spent over $4 billion in replacing the old Boeing 747s with the A380s. The Dreamliners will begin earning their keep from December 15 2017 when they take over the Melbourne-Los Angeles route, but the kicker will be the March 2018 launch of non-stop flights between Perth and London – an 18 hour trek which will finally remove the need for a stopover hop from the Kangaroo Route between Australia and the UK. That flight will join up with the LAX service in a sweeping arc from London to Perth to Melbourne to Los Angeles – a pattern which Joyce describes as four of the Dreamliners painting a ‘smile’ across half the planet. The next two Boeing 787-9s – due for delivery in July and August 2018 – will take the Brisbane-Los Angeles-New York route under their wing, with Qantas’ other Sydney-LAX and Melbourne-LAX flights connecting to the New York-bound Dreamliner. Before the end of 2018 another pair of Dreamliners – the last in Qantas' current eight-strong order – will open up a second Brisbane-US route. Joyce says that route will either be Seattle, where Qantas will work with partner Alaska Airlines, or the Chicago or Dallas hubs of US partner American Airlines. The next pins to drop onto the Dreamliner’s network map will be Paris and a German city, tipped to be Frankfurt, along with new routes to the US and perhaps Asia – but those flights won’t start until at least 2020, when Qantas will have the option to take up a second tranche of Boeing 787s from its 45-strong order book. Joyce says those purchases will depend on the Boeing 787-9 proving its mettle, both in terms of delivering the promised efficiencies – which is in little doubt – as well as how passengers embrace the non-stop Perth-London service, which is central to Dreamliner’s role in Qantas. With such a limited fleet and flight crew trained specifically for this B789 and presumably no longer able to operate the Airbus A380s, what will happen when a B789 fails, especially during busier travel periods when other flights are full? Will there ever be a 'spare' B789 or is the fleet basically running almost all the time except for some gaps between each flight? The Airlines should be more than experienced with what to do here as they have multiple examples of out of service A380's or turn around events after engines blow etc. Qantas doesn't have a spare aircraft at every port for every type. This is not a new problem. Not sure why they will no longer be able to operate the A380, they will be in service for many years yet. If you mean routes that the A380 can't fly, PER-LHR is the only one. This is easily solved by re-routing the PAX via DXB or SIN, perhaps with an A380 flying MEL-DXB/SIN-LHR. Also, they will have to consider deep level maintenance for the B787-9 so I'm sure there's redundancy in their schedules. These issues and challenges are basic table stakes for every airline. An airline as tenured and experienced as QF has the know-how to deal with these inevitable problems. Qantas has said that the first four 787s will be based in MEL (doing routes to LHR and LAX) and the second batch of four 787s will be based in BNE (doing routes to LAX/JFK and a new US city). So at this stage, no 787s will be based in SYD. No doubt that will change once they place further orders. Would be nice to know but as long as we have the 380 service that's fine by me. No Qantas Boeing 787s slated for Sydney until Sydney is decreed as a 'base' for them, which could happen if & when (much more likely 'when') Qantas orders more Dreamliners... if Sydney then becomes a base for them, as Melbourne and Brisbane currently are, then we could see routes such as Paris-Perth-Sydney-San Francisco for example. The difference, Chris2304, is that presently with QF1/2/9 and 10, if there's a failure, at times QF terminates one flight at DXB to minimise delays. But with two different aircraft types flying different routes into LHR, that sort of flexibility will no longer be an option. So it's a legitimate question. I try to avoid flying on airlines with very limited fleets. It's not always possible to avoid them, of course, if one is travelling to a boutique destination but to LHR, there's quite a few airlines with multiple daily flights that offer a bit more certainty if things go wrong. Yes, Emirates is part of the deal but it is a separate airline and may not always have sufficient available spare seats either overall or in particular cabin classes. If QF terminates a flight at Dubai to re-accommodate other passengers, there a still passengers stuck somewhere who will get delayed. This would be the same across their fleet really. They get put up in a hotel overnight, re-booked to other QF or re-routed on other carriers (noting that QF had major issues terminating a flight in DXB last year leaving those passengers stuck - so it is not always a desirable solution). I would hazard a guess that people that run airlines would have plan for these things. Sometimes those plans will work well, other times they will not and then you'll see it on the front page of the Tele. If certainty is important to you, then your decision to fly airlines that operate many flights into LHR is indeed a good one. QF replacing an A380 with B787 does not have any bearing on the frequency of QF flights into LHR. You are absolutely right. The initial Qantas 787 operations will be very vulnerable to delay and cancellation as there will be zero redundancy or backup given that they are operating unique routes. In my view (which I am entitled to), Qantas is dreaming if they think that direct long haul flights like Perth to London will bring home the bacon. The truth is that the A380 is a much maligned aircraft. True that it does have service issues at times, but you could argue that with many aircraft. If Airbus felt they could upgrade the A380 with more composites and a NEO option, then personally I think it is a winner. The reason is that most major airports are short of slots, especially those with stupid curfews. With passenger growth set to balloon, where will all these direct flights using smaller capacity get the slots from.As a sideline, Qantas may think they have done the deal on the Tasman at the expense of loyal Emirates passengers on this route. Do they seriously think that flying on a 737 at no doubt ever increasing fares due to lack of competition will bring home the bacon. I for one do not support sub standard service, on boring aircraft with lousy meals. Also, give me the a350 over a dreamliner any day. The degree to which qantas has hyped the delivery of this mediocre aircraft is ridiculous. FFS, they're milking it more than the Singapore delivery of the first A380 and the 787's have been in service or years. its a big thing for qantas because of the long wait and the potential that this aircraft brings to qantas' international network. Yes they are not the first airline to revive the 787 they know, again its what the aircraft capabilities can do do improve the network. And for that reason I don't believe it is over hyped. I flew from Shanghai to Bangkok earlier this year with Cathay . First leg from Shanghai to Hong Kong was a Cathay A330. The leg from Hong Kong to Bangkok was in a Cathay A350. Both flights business class. I couldn't tell the difference. Even asked a crew member just to be certain. On a flight from Japan ( Tokyo Haneda ) to Beijing, I was in a Japan Airlines B787. Think it was a B787-8, as, it looked rather small when viewed from the terminal, before boarding. No complaints about any of the flights. The 787 helps Qantas’ network probably more than any other airline because of where Australia is on the globe. I agree it will help Qantas financially given Australia's geography, but as a suitable aircraft for long distance when combined with passenger comfort, Qantas has made a big mistake here. The aircraft is suitable for 7-9 hour flight times and certainly does not sell passenger comfort for the 18hr flights Qantas is pitching for. Seasoned passengers from Australia's east cost will opt for larger aircraft via Asia when en-route to Europe. The 789 is best placed for AU to Asia. Qantas is all about the marketing and profits, passenger comfort is well down the list. PER - LHR is a gimmick and I give it 8-10 months till it is pulled. Well, the A350 I believe would not have even been put onto the drawing board. It is a no brainer for Qantas. Yes, the A350 admittedly is a better aircraft, but what about those rediculously low prices they got for them? How about the flexibility to have one long haul fleet type for both Jetstar and Qantas to switch engines, parts... how about having statistics that they can work with for the aircrafts operational performance gained from Jetstar? And good on them... they are a business and are using it for PR & marketing. You have opened an article on it, so it is working. That really is so true. I've not yet travelled on an A350 but I have with two carriers on a B789: the experience was underwhelming. Actually MEL-LAX on the B789 will commence on 15 December. The A350 is miles ahead of the B787 for Pax comfort. I have had a few trips in J class on both and the A350 leaves the B787 for dead , it's that much better!!!!! Surely when travelling in J class that is purely a matter of product and design? I have flown three different airlines in J recently - airline A and B were on 787-9s, and airline C an A330. The products were vastly different. Airline A always ranks very highly in business class rankings, always top 10, but was a far worse product in my opinion than B and C who do not rank at all. I'm actually baffled by airline As consistently high J class rankings. Have flown both the A350 and 787 in both biz & premium and feel the A350 is superior comfort wise (legroom, headroom, noise) and lacks the gimmicky 787 windows, but frankly the difference is marginal and both are excellent aircraft. A350 beats B789 hands down, especially the Qatar A350. The striking difference between Qatar A350 and those of CX or Finnair is the absence of centre overhead bins in Business class. Sense of open space is much greater. Finnair doesn't have centre overhead lockers in business class on the A350. Cathay Pacific does, however. IIRC the forward business cabin on Finnair doesn't have central bins, giving a very spacious feel, while the second business cabin does have them. Indeed, I agree with all of the above posters. The A350 is a superior aircraft to the B787 for passenger comfort. It demonstrates one of the problems with signing up to buying an aircraft in 2005 and taking delivery of it in 2017 -- the competition has come up with a superior offering by the time you even get your first plane. This. Could not agree more. A newbie here, Hutch, what was the original economy design that you speak off? Boeing designed the 787 economy cabin for 8-abreast seating, which was a rather luxurious configuration. To the best of my knowledge, only JAL has stuck with that configuration, however. All other airlines opted for a 9-abreast economy cabin, which results in roughly 17 inch wide seats. (ANA initially went with an 8-abreast cabin, but is shifting to 9-abreast). I’ve flown the Jetstar 787 multiple times in premium economy (I can’t bring myself to call it business!) and economy and have found myself feeling more refreshed on landing than after flying on other planes for comparable distances (A330 for example). I haven’t been in an A350 but can’t understand the negativity above. The comments seem very fitout specific rather than being about the pure metal too. I am due to fly back from the States in March next year and elected the 787 service over the A380 (which I am flying on the way there). Very keen to see the difference between them. Meh give me an A350 / A380 anyday for the distances we need to fly as Aussies. They may have bought the 787 cheap ages ago but what was the point if there is an aircraft better than it? They could have saved heaps and bought the A330 NEO which is direct competitor for the 787 and saved millions. The only saving grace of the QF 787 is that they ordered the quieter Genx engines and not the Rolls Royce troubled and loud monsters. It still won't be as quiet as an A350 let alone and A380. It will also be better than a 747 they will replace from every aspect except space. A380 was much more a big deal than this 'plain'. "They could have saved heaps and bought the A330 NEO which is direct competitor for the 787 and saved millions." Wrong... A330neo does not have the range that 787-9 does among other features such as high humidity, low pressurization altitude and non-bleeding technology. The consensus seems to be that generally the A350 offers a better customer experience, despite specific customer fit-outs. Note JAL have 2-4-2 in economy which is one less seat than other 787 operators and they are receiving plaudits for it. However some objectivity is required as judging the 787 between economy on Jetstar compared to first class on BA will lead to vastly different impressions which is unfair on the aircraft itself. Over a dozen airlines have ordered both types so putting purchase price aside there seems a valid case (operationally speaking) to operate both types side by side. This is reminiscent of the 707 v DC-8 debate, both great excellent aircraft in their day. Ultimately though, in my opinion, the A380 still remains the benchmark for the others to match. So many airlines operating this aircraft in/out of Australia already. Big news for QF, but not exactly 'travel' news. The other airlines are probably happy QF is bringing this much attention to the plane - leisure travelers might start looking for it a bit more. I choose a 787 when crossing the Pacific every time. I believe it's the best option long haul. Where will the QF B789s be maintained? LAX? Just got back from flying Qatar's A350 and then 787. The a350 product craps hard all over the dreamliner. Just my 2 cents.Good on Qantas but being last to market with this aircraft. What happens with the long haul Syd-JoBurg and S American flights in aged 747s? QF have six 744ERs that were 2002 builds. They'll stick around a while longer on JNB, SCL and SFO. Despite the detractors, I would have thought it a smart business move to replenish your fleet with not too shabby newish technology well proven planes at better than a decade old prices. There is often much conjecture about "which plane is better" etc . To me, once you are on board, regardless of class, around 70-80% of the travel experience is the particular fit-out deployed and the "soft product" - crew and food etc. The remaining 20-30% for the plane itself is related to noise (thank god there will be less 747s around, I love the quietness of the A380), vibration, humidity & airpressure. If we eliminate classes, fitouts, carrier allegiances, and soft product - can anyone explain to me in simple terms the genuine differences between the A350 and B787-9 airframes that actually effect the passenger experience. @worldwanderer both the B787 and A350 are next gen, composite airframes with all the bells and whistles that that entails. However the A350 has a wider cabin than the B787 which makes a big difference comfort wise if you flying down the back of the bus. I personally also find the A350 quieter, more open and less cramped feeling than the B787. Have flown both 787 and A350 in J and Y and honestly don't believe any of the feedback about one being so much better than the other, in my view they are very similar. Obviously the fitout is different by airline but that is not Boeing or Airbus, I've flown 350 on CX, QR and CI and flown 787 on JL, AA and BA. I'm also told by a pilot friend that the economics of the 787 are far better than the A350, and QF are known for crunching the the economics really hard, so that combined with 2005 prices, why not? Why is everyone so excited about this? Jetstar has had them for years! And the 350LR is a better and more comfortable aircraft. And those of us that gave up on QF years ago have been enjoying newer more comfortable aircraft and better prices. Too little too late as usual. zoomzoom, correct: QF charges high fares (like JL) but does not deliver (at least with the B789s) the same level of comfort in economy class. Congrats on the new arrival Qantas the livery on this plane looks great. However the sensationalism over this arrival is quite amazing. Other operators have been flying this aircraft to Australia tor years already. So does the inside look revolutionary, not from those pics, 9 abreast slim line Y seats, tight pitch in premium and the same J seats as the 330. The operating range to LHR is at its max, diversions into Southern Europe for a fuel stop is likely occasionally, eliminating the non stop premium paid. This is seriously like one watching one of your friends throwing a massive celebration because they’re upgrading from a Motorola V3 to an iPhone six years after everyone already got a smart phone. While I agree with much of the sentiment above, that globally this isn't much of a significance, it is the first new type for Qantas in ten years, so is newsworthy. But congrats to the QF media team for generating so much FREE publicity out of this event. Being the longer range and larger aircraft the 789 is the right aircraft for QF, but with hindsight it should have arrived two years ago (but at the time of the GFC things were pretty dire so can understand why QF pushed it out). I just hope QF aren't as conservative in timing over 777/350 and 737/320 decisions. Well, this starts to refute the "Qantas only cares about SYD, nothing for MEL BNE or PER" argument that is often seen in these and other forums. Not really, if you asked any economy passenger who’s flown a 787 they’d probably rather something else, so Sydney is quarantined in Qantas’ current plans from the sardine experience. 787s really should have a different nickname depending on the cabin. Sydney has no Qantas Boeing 787s on the map because Qantas doesn't have a SYD base for them, the arc or 'smile' flying pattern swings through QF 788 base cities which means MEL and SYD. cbouri, when you complain about the 'scripting' on this website, are you referring to the font in the forum where we make comments, or the font in the stories about which we comment, or something else? Cbourl, please keep your comments on topic (that topic being the Qantas Boeing 787) rather than rabid rants. craigj77, it will be instructive to see if the 'traditional media' carries stories when B789 international flights are cancelled due to the aircraft requiring repairs. Traveller 14; every time an A380 sneezes it is front page news so I suspect no different to a 789. As they are new and the JQ ones function well they have a few years of clear air before the stories come by. The five years of JQ experience was a wise decision. 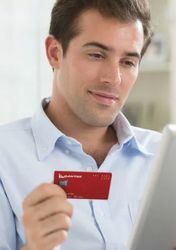 Great for Qantas and consumers, all I know is the prices are coming down with some amazing deals from other airlines. Hopefully Qantas will price match. Some real whingers here. The Boeing 787-9 is a great aircraft to fly in, and sure it would have been better if Qantas had them years ago and I'm sure Qantas would agree as well because of the cost-savings especially in fuel when fuel prices were so high. But bottom line is that the airline finally has its Dreamliners and they're going to open up some new routes as well as improve things all around. Comment on "New for the Roo: Qantas gets its first Boeing 787-9 Dreamliner"